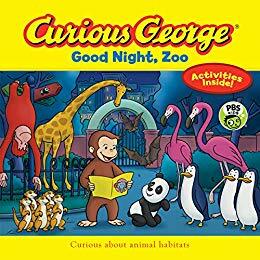 George is excited to visit the zoo to see the new baby panda—but when he’s accidentally locked into the zoo at night, how will he get out? George must find a way to navigate his way out of the zoo and back home where he belongs! Based on the Emmy Award-winning PBS show. In this new book based on the Emmy Award–winning PBS show, Curious George can’t wait to see the brand-new baby panda at the zoo. But when George accidentally gets locked into the zoo at night, he has to use maps, landmarks, and his animal instincts to find his way out! Bonus activities help reinforce the concepts in the story, including instructions for building your very own map of your home!